When I started my weight loss journey at the beginning of 2013 I was so oblivious to how ‘diets’ worked. They were like a foreign language to me and counting calories gave me a headache. 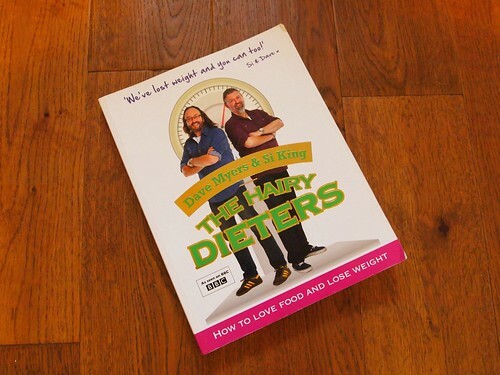 I needed some guidance and the best diet cookbook I ever found, used, loved, lived by was The Hairy Bikers ‘Hairy Dieters’ How To Love Food and Lose Weight. 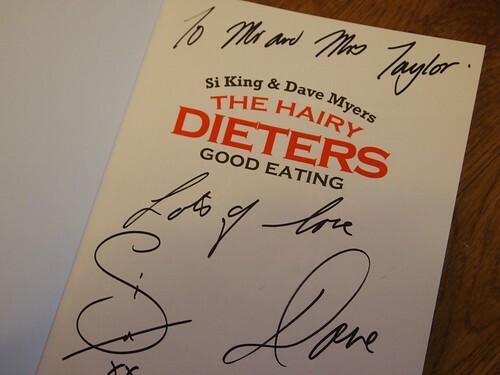 This book served as a Bible in my first 6 months of dieting. We found our firm favourites – roasted cod with parma ham and peppers, spanish style chicken bake and the glorious chilli con carne. 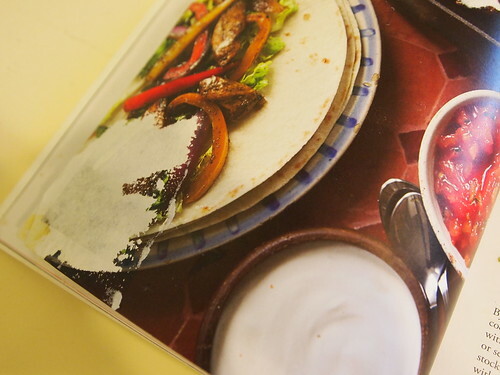 This book produced real food, with great kick and taste, but crucially without the guilt and added calories. 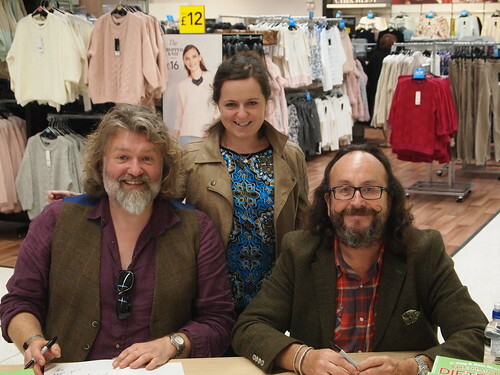 So when Book 3 was released a few weeks ago I was eager to add it to our collection, it was by chance I spotted a book signing poster, Si and Dave where coming along to my supermarket to sign copies of the book. Of course, I had to go. Something inside of me owed a lot to these two humble guys. 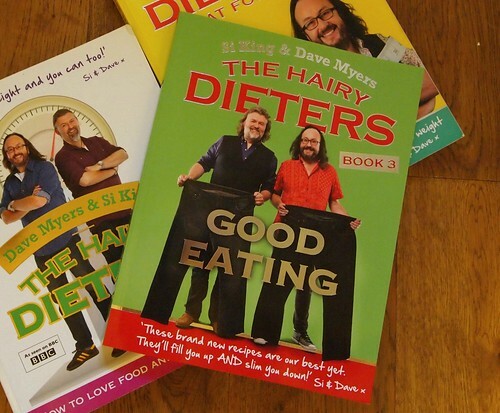 When I got to the front of the queue I nervously giggled, but proudly showed them my ‘before and after’ photos, Si looked at me and asked how I felt now to have lost the weight. They both looked at my husband and said he must be so proud of me. That was the first time in my life, bar passing my driving test and walking out of church with Simon on our wedding day, that I genuinely felt proud to be me. Wow yey for meeting them, my parents have been to a couple of their shows and rave about them. I bet they are a right giggle in person! I'm positively-envious of you as we think this dynamic duo are generous & lovely, cool post! So great that you got to meet them - I'd imagine them as being pretty funny.